Special uniforms, massive donations, and more. Can Under Armour do for the University of Maryland what Nike did for the University of Oregon? It's certainly trying, with many of its efforts captured in a lengthy New York Times piece from this week. In it, there is talk of Under Armour's 10-year, $33 million contract to supply Maryland's teams with apparel, donations to build fancy new facilities on campus, an Under Armour involvement in summer basketball that's been increasingly helpful in bringing top players to the school, and more. Maryland isn't shy about looking to Oregon for inspiration either. Of course, Maryland is a long way from the national prominence of Oregon and Under Armour is a long way from the industry-dominating power of Nike, but both Maryland-based institutions are hoping they can gain ground via their partnership. Much in the way that Nike co-founder Phil Knight was an athlete at Oregon, Under Armour's founder Kevin Plank was an athlete on Maryland's Terrapins football team. Plank is plenty involved in the school's sports too – athletic director Anderson's interview process included a talk with Plank. 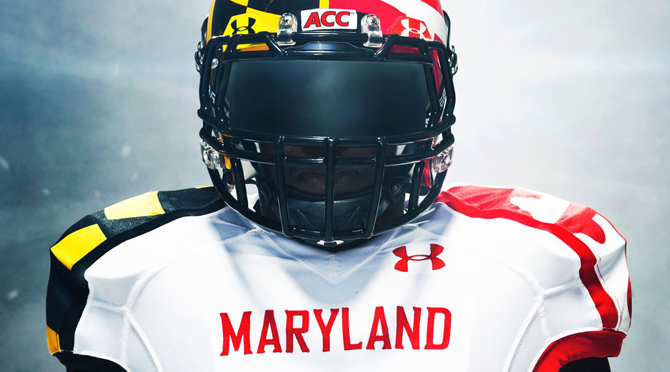 Read more on the Under Armour/Maryland partnership here.